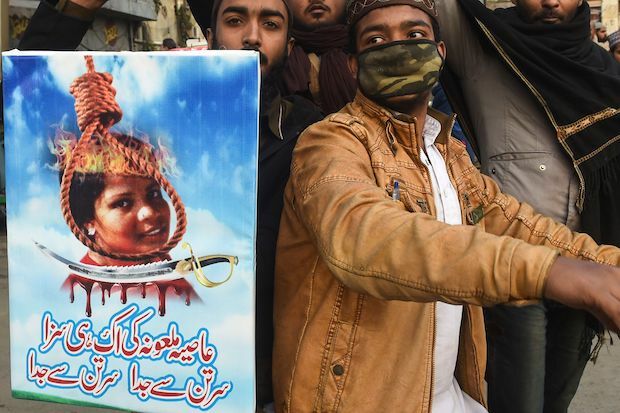 ISLAMABAD: A Christian woman acquitted of blasphemy after spending eight years on death row in Pakistan has been transferred from a secret location near the capital to another in Karachi, but is still unable to leave the country to join her daughters in Canada, a friend said on Saturday. Aman Ullah, who spoke to Asia Bibi by telephone on Friday, said the 54-year-old is being held in a room in the southern port city. He said Bibi, who continues to face death threats from radical Islamists, is frustrated and frightened, uncertain of when she will be able to leave the country.